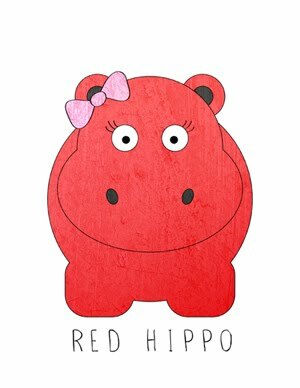 Red Hippo: a great man. a friend of our family died this week. rich was an amazing man. he moved ever so gracefully through people's lives with a quiet beauty that only comes from humility, generosity, and kindness. rich hasn't been in my life for a long time- for about two years we've known him well, but he became like family. he treated tony, easton, sailor, and i like family. he loved us and we loved him. there is too much to say about rich, too much goodness. he was an important piece of this world. i say this with all the strength in my heart: he was the kindest, most generous person i have ever known. he would "adopt" people all over the great town of milpitas and beyond. he took people in who didn't have a place to go for holidays- like his starbucks' barista. he bought police officers coffee. he made friends on his favorite walking trails. he took his daughter's friends out to lunch. he bought hats for two year olds who were obsessed with hats. he volunteered at the local vet hospital. he walked almost a marathon every single day (seriously he walked over 25 miles almost daily) while a bunch of us competed in a "biggest loser" contest- he lost the most weight, won the pot and paid for all of us to have dinner with that money (at tony's yearly golf tournament no less, so all that money went to tony's school). i would have bought some new clothes. not him. there is so much about rich that seemed to make him so special. his space here on earth was not occupied for long enough. i can't help but think that this world is a little worse off than it was a week ago. there just aren't enough kind, generous, and thoughtful people out there. he was one of the good guys. rich taught me something more profound than i ever could have dreamed. he taught me that one person can affect so many people, for the better, if they are just willing to spend time, encourage, support, and love others. the truth is that all of us will die one day, but only a few of us will be remembered with as much admiration as rich. When God picks a rose, he chooses the best, most beautiful one. He picked Rich out of a bunch of wilted roses- Rich stood out and God wanted him for Himself.